You've probably seen in the news that a volcano erupted in Guatemala recently. But do you really know much about this volcano, or even where it's located? Hopefully this blog post will get you up to speed on your volcanology! Pictures of a recent volcano erupting in Hawaii show slow-moving lava flows creeping towards houses, cars, and the ocean. 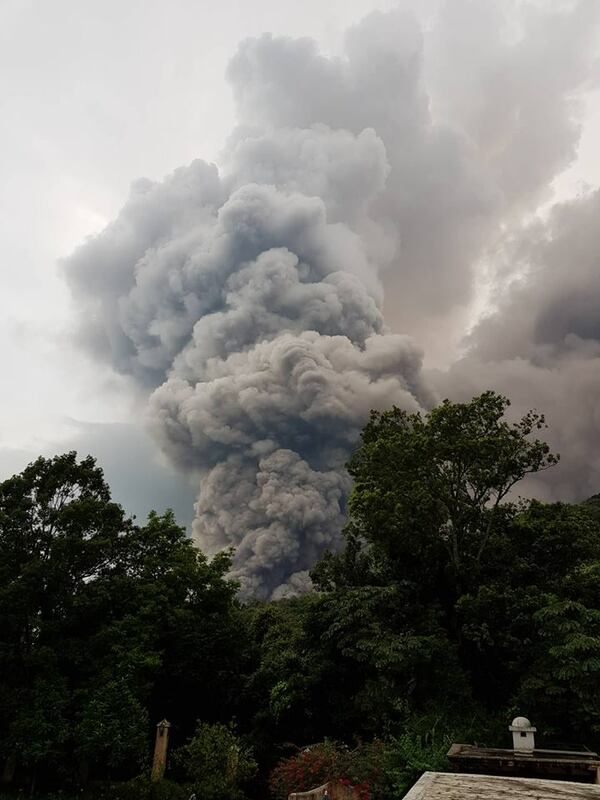 By comparison, this volcano in Guatemala sent rivers of pyroclastic flow (a hot high-density mix of lava blocks, pumice, ash, and dangerous gases) down the side of the mountain, covering roads and villages (in particular, El Rodeo, which is on the southeast side of the volcano). The BBC says pyroclastic flows "can reach a speed of up to 450-mph and are considered to be the most deadly volcanic event because they are impossible to outrun and can travel for miles." 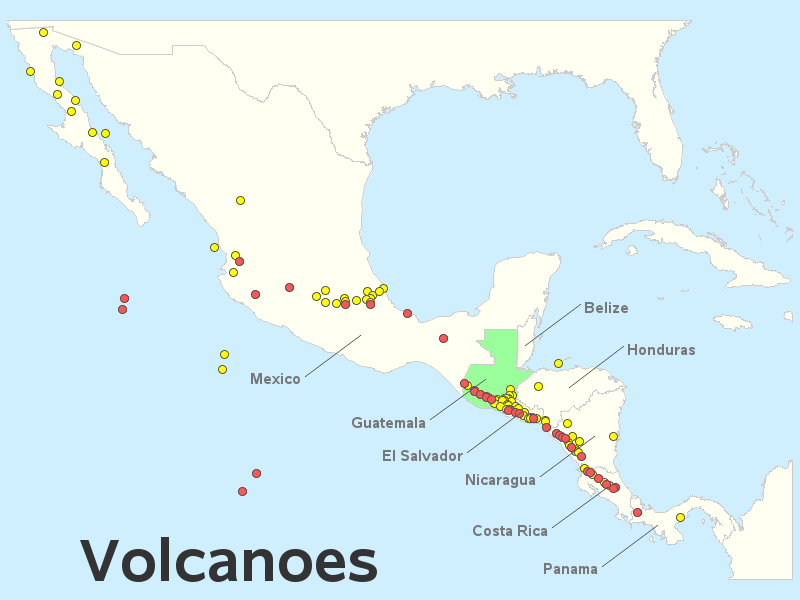 To create this map, I first downloaded data about all the world's volcanoes from the Smithsonian Institution website. 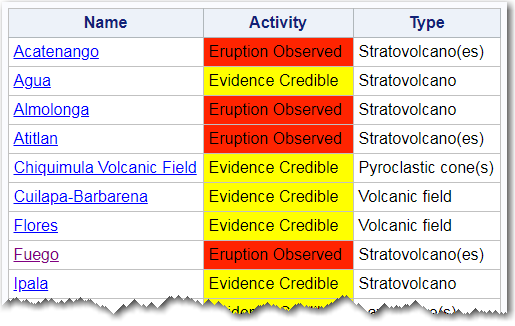 I imported their spreadsheet into SAS using Proc Import, and found that it contained a wealth of information, including latitude/longitude coordinates for each volcano. 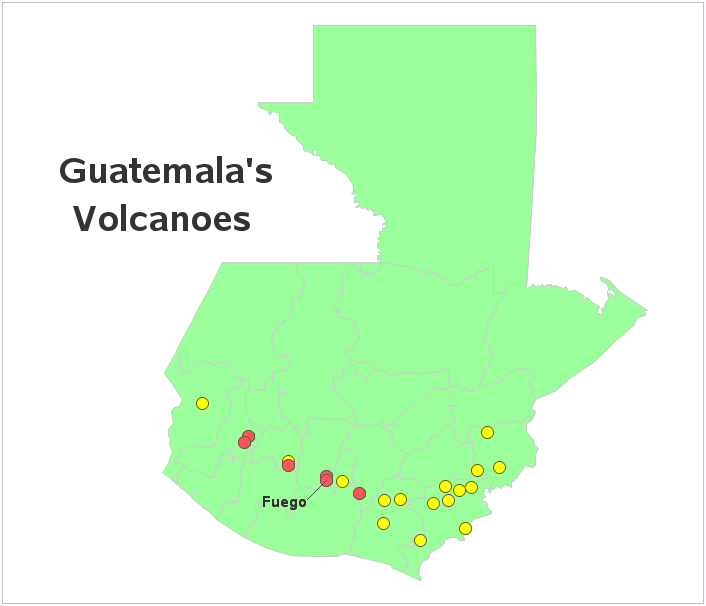 I used Proc Gproject's latmin/longmin/latmax/longmax options to subset the world map and the volcano data, to just show the general area around Guatemala. I used Proc Gmap to draw the map, and used annotated markers (function='pie') to indicate the locations of the volcanoes. Click the image below to see the interactive version, with HTML mouse-over text showing detailed information about each volcano, and you can click each volcano marker to see a Google satellite map zoomed-in on that location. Now that we know where Guatemala is located, let's zoom-in to see just that one country. I also added a label to the specific volcano that is erupting - it's called Fuego, which means Fire in English. You can also click this image, to see the interactive version with mouse-over text and drill-down links to the Google satellite maps. Once you've read up on this volcano, perhaps you'd like to help out? If so, here's a link to a gofundme page one of Tracy's friends since childhood set up. The money will go to local burn centers (for things like latex gloves, sterile bandages and basic burn victim needs), local shelters (to provide food, clothing, and water), boots for the firefighters (their boots are melting and falling apart in the intense heat), and rebuilding. Do you have any experiences (good, or bad) with a volcano? Feel free to share in the comments! I have and it's SAS-related! 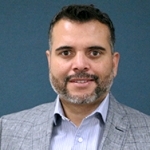 In 2010 I was returning to the UK from SAS Global Forum in Seattle with a colleague when the volcanic eruptions in Iceland occurred while we were over the Atlantic. Our plane landed OK at Schipol in the Netherlands but as all air traffic over Western Europe had by then been cancelled we couldn't get our connecting flight back to the UK. There was then a epic three day planes, trains and automobiles (and ships) journey across north west Europe before we made our way back home.